Looking for a tablet that performs like a laptop? The new HP SlateBook, a full-sized touchscreen laptop that runs the Google Android operating system introduced today, may be just the droid you’re looking for. 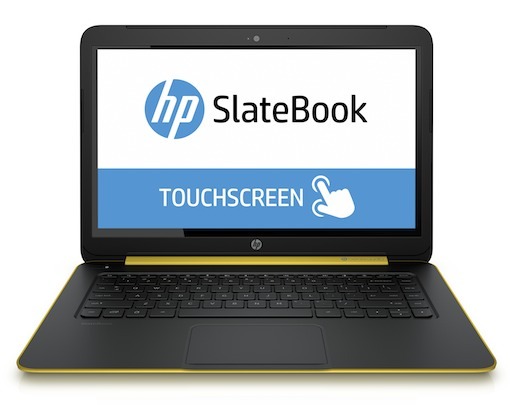 Unlike the last year’s relatively cramped 10-inch SlateBook x2, HP’s 2014 model features a full 14-inch HD touchscreen and lots of keyboard real estate. A quad-core NVIDIA Tegra 4 mobile processor and 9-hour battery power the device, another improvement over last year’s model. Of course, the question remains: Can you really get everything you need to get done using just an Android laptop? If you’re on your smartphone or tablet a lot, the SlateBook can make it easier to review and edit documents and send emails. A real keyboard is a lot easier to use than a virtual one, and won't have any of the pairing glitches common with Bluetooth keyboards. Just remember that you’ll be limited to the Android ecosystem of apps, so your SlateBook probably won’t be able to replace a full-featured computer. HP’s Slatebook is expected to be available starting August 6 here in the U.S. starting at $429.99. You can learn more about the coming device at hp.com.